Is a CSA worth it? 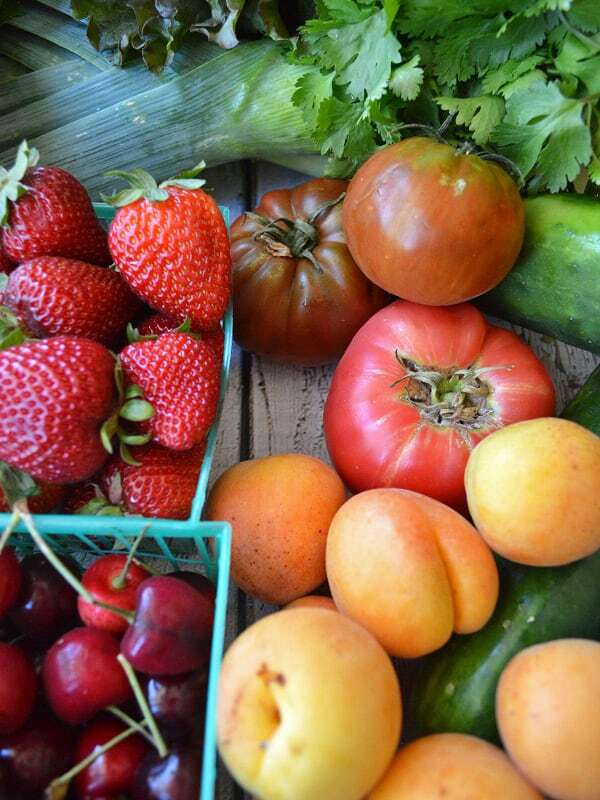 You are here: Don't Waste The Crumbs » Shopping & Sourcing » Is a CSA worth it? And so this weird question in my head was validated. It’s a good thing too, because there’s a lot to know about CSA’s that we could all benefit from. So let’s talk about it: Is a CSA worth it? First off, let’s all get on the same page. CSA stands for community-supported agriculture, but it’s also been known for community-shared agriculture too (especially in Canada). In either case, it’s basically a big box of yummy, random and delicious produce that comes from local, community sources. CSA’s can run as short as 4 weeks with a trial version, through a 10 week or 23 week season, or even year-round. Depending on the program, you can pay weekly, in full, or in installments throughout the season. Nine times out of ten, the cost is non-refundable, but you can put a box on hold if you’re going to be out of town (which means you’ll get an extra week added at the end of your subscription time frame). Some even allow you to switch out certain foods if you know for a fact you won’t eat them (usually for allergy purposes, not because you simply don’t like something). From one week to the next, you really have no idea what you’ll get. But you can definitely count on it being local, fresh and in-season! Most CSA organizers will tell you up front approximately how many pounds of produce you’ll get each week. Some CSA’s offer different portion sizes too, like a small box or family size, so you can choose based on what is best for the size of your family and how much you like to eat outside “normal” fruits and vegetables. Note the “all organic” in parenthesis. While MY CSA is all organic, not all of them are. It really depends on where you live and what type of foods are local to you. At the very least though, the organization should tell you what in the box is organic, and what isn’t. Most CSA’s tell you either via email or with a flyer what all is included in the box, just in case you’ve never seen that particular item before. It also includes a recipe or two, which is SUPER helpful when you really aren’t quite sure what to make with all the new-to-you produce. Visiting the local farmers market is truly fun for me and the kids, but it’s hard to make it sometimes with the hours it’s open. It’s also hard to get the kids to keep their hands to themselves… those fruits and berries are just too tempting! Plus if I’m really honest, the “normal” fruits and vegetables are well… comfortable. Without a doubt, I know we’ll eat carrots, apples, bananas and potatoes. But a full pound of mushrooms and two huge leeks when 2/3 of the family questions EVERYTHING you put in every dish? Um, not sure if that’s going to fly. Oh yeah, then there’s the curly parsley that my dad (the chef) tells me is used mostly for garnish. Garnish?! I don’t know about you guys, but my meals just aren’t fancy enough for garnish, LOL! (Thankfully, you guys pulled through with some AWESOME ideas via Facebook – THANK YOU!). For me, walking into the shop to pick up a box completely prepared ready to go… well it’s good for me. It’s good that I don’t get to decide what goes in it. It forces me to get creative in the kitchen and come up with recipes that both the adults AND the kids will like. Like making a sauce out of mushrooms and cauliflower, and subbing it into macaroni and cheese with carrots and kale. Oh yes, yes I did! I put FIVE vegetables into macaroni and cheese and they INHALED it! It was truly an epic moment as a mom. Some think the spontaneity of a CSA box is a bit too unpredictable. Frankly, if it weren’t for someone else picking out those vegetables, I never would have picked them. Which means my kids would grow up eating the same old veggies all the time. Which kinda goes against my goal of raising my kids to enjoy a broad range of foods, in an effort for them NOT to be picky eaters. Not to mention the nutrients that we’d all be missing out on too… And some of those fruits and veggies are actually pretty darn tasty! It’s really tough to price compare my local CSA to all CSA’s across the board, so we’ll just use this past week’s as an example. The per-week cost of my CSA is $23. They offer a discount if you prepay for either 10 or 23 weeks, reducing the per week cost to as low as $21. 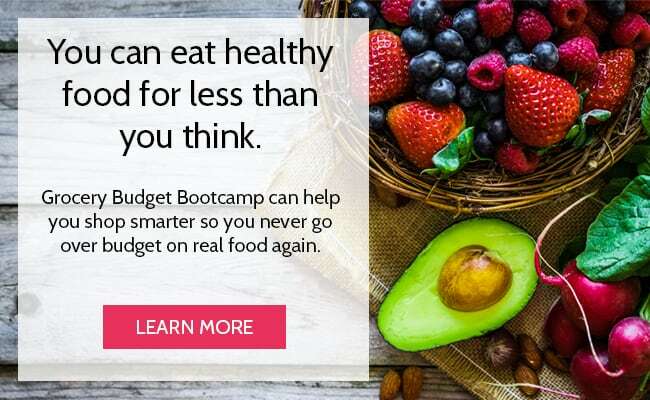 That means you could save up to $44 each month by prepaying for an entire season of fresh, organic produce. Sometimes CSA’s includes fun extras like freshly baked in-house chocolate chip cookies. Which the kids and I may or may not have eaten before we left the parking lot. Other examples of fun stuff include freshly cut flowers, a pint of jam or an extra basket of berries. It just depends on what’s going on that week and what they’re able to give. To me, it’s a fun little surprise to look forward to and enjoy. Some CSA’s also offer discount cards to certain shops or farms. My local CSA offers discounts to their shop, 5% off to those who buy 10 weeks and 10% off if you prepay for 23 weeks. Considering their prices are already competitive, this becomes icing on the cake. One last little bonus item – supporting a CSA means supporting a small, family-owned business. CSA’s by nature are local, so there’s a slim chance it’ll be owned by agribusiness. My local CSA is owned by a Christian family and considering the farm IS the family business, we’re honored to support them. Before you commit to a CSA, here are a few questions (and answers) to consider. 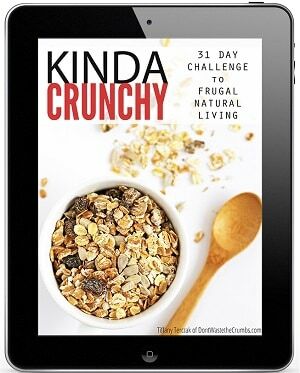 How much do you normally spend on produce each month? Each week? Some argue that it’s cheaper to buy produce at supermarkets because of the mass production. But that’s not always the case. 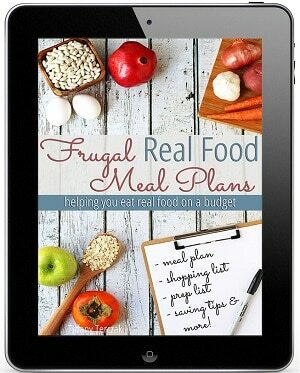 Use your receipts and be honest here – how much do you really spend on produce? Last month we spent $93. We spent $83 the month before. And I’ll tell you this right now – not all of it was organic. If it was, my totals would have been WAY higher. A four week subscription to this CSA costs $92. It wouldn’t cover ALL of our produce needs for the month (gotta feed our banana fetish! ), but it would cover a good chunk of it and it would definitely give us our fair share of organic produce. We probably wouldn’t buy as many (if any) carrots or kale or lettuce or most of the other veggies we currently do. Instead, we’d cook from whatever came in the box. The same goes for the fruit we snack on too. See those cherries and apricots up there? They’re awesome. I spoiled my dinner by eating some of each. And a tomato too. Can you afford to prepay? Coming up with almost $500 up front to pay for an entire season’s subscription (which is the best deal in the long run) is tough. BUT, if you know you want to do this, you can start saving now and commit to next year. The theory is no different than buying a half cow or a large bulk order from Azure. If something is important enough to you, you’ll find a way to make it happen, right? In this case, the only thing different is what you’re getting in return. How limited is your access to organic produce? Here in California, we have abundant access to organic produce. However, I know not all of you are as fortunate. For some, growing gardens are their best effort for fresh, organic produce. For others, it’s a CSA. 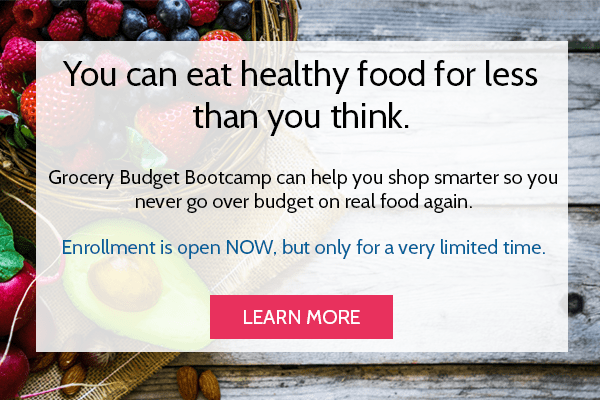 Seriously – will you eat what they give you? 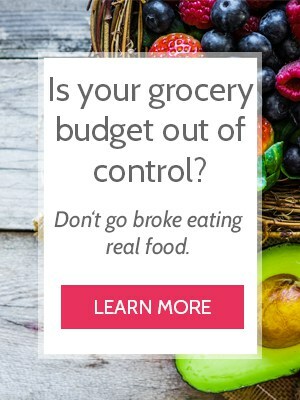 If none of the produce above would EVER go into your grocery cart, let alone your dinner table, then don’t even bother. You’ll find yourself frustrated with all the variety, clueless with what to do with it and stressed that you’re wasting food (and money). Be honest with yourself, because that’s a big chunk of change to waste if you’re not going to eat the food. This is when it might be smart to try a sample week or two before committing to an entire season. Is it too much food? I look in our CSA box and wonder how in the world we’ll eat it all. And then next Wednesday rolls around and magically all the food is gone. I blame the little fingers. If you won’t eat all of this in one week, remember you have the option to put weeks on hold. One way to ensure food isn’t wasted is putting every other week on hold, or even splitting a CSA subscription with a friend. Each family takes what they love best and split the rest down the middle. Or maybe joining a CSA is a reason to start inviting more people over for dinner! Prices can range from $12-$50 each week. Some deliver; some require pick-up. Some offer flexible days to pick-up; some don’t. Some are just a few weeks; some are year-round. Some offer “extras” like eggs, bread and jam; some don’t. If you’re not sure about whether to join or not, I suggest you don’t UNTIL you’re able to really find one that you like. Honestly, if I hadn’t received my subscription as a gift, I wouldn’t be doing it this year – but it’s only because of poor planning on my part! The season started before I was ready, and the cash certainly wasn’t in hand. HOWEVER, now that I’ve literally tasted the fun and deliciousness that comes from a CSA, you bet I’ll be saving my pennies for next year! Here are a few links to help you get started finding a CSA near you, whether it’s this year or next. Are you part of a CSA? Love it? Hate it? Reasons why you joined or didn’t? Let’s chat it up in the comments! Oh, Tiffany – I’m so glad you featured CSAs. I am passionate about them! I’ve belonged to two before – and this year I was only able to continue with one because of my move and being too far from a pick up. Our farmer delivers to my husband’s office every Tuesday. We sign up for a 10 week session (there are three sessions from end of April through Thanksgiving). Mine is a full share (we have 11 eaters in our family) and we get 5-7 items each week. By “item” – I mean a bag full of eggplants, two heads of lettuce, a giant bunch of carrots, etc. – the portions are huge and abundant. It’s all certified organic and $30 per week – delivered for us. We were part of a CSA when we lived in the suburbs – and it really helped us realize what was grown locally and in season. We were more in tune with food cycles. We’ve had vegetables we have never seen – kohlrabi, broccoli rabe, pac choi. We’ve also had items that don’t resemble at all the counterparts we’ve seen at groceries – celery, cucumber, tomatoes, etc. Wow – what a difference. I’ve truly enjoyed the kitchen challenges – looking at the bag and deciding on main dishes and side dishes that feature the items so there is no waste. 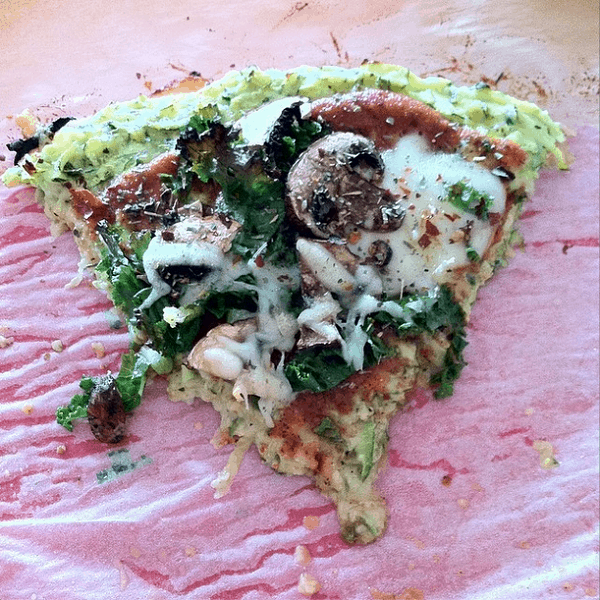 I have a few “catch all” recipes to use up items if I’m at a loss for ideas and running out of time with freshness – like pesto with carrot tops or arugula or fennel fronds – – – or Indian saag with any leafy green or combo of greens – – – or a frittata that includes everything but the kitchen sink! Something to realize about a CSA is that you share in the abundance – but you also share in the losses. If there’s a drought, you may see it in your weekly share – by missing a favorite seasonal items that died in the field or by the scarcity of an item. If the deer eats the tops of the carrots, well, you get carrots without the tops. If the mud from torrential rain splashes mud on the strawberries, you may miss that crop from the farmer that year. But, you also may get two giant bunches of kale instead of the one you anticipated or extras of fennel because your farmer knows you love it. 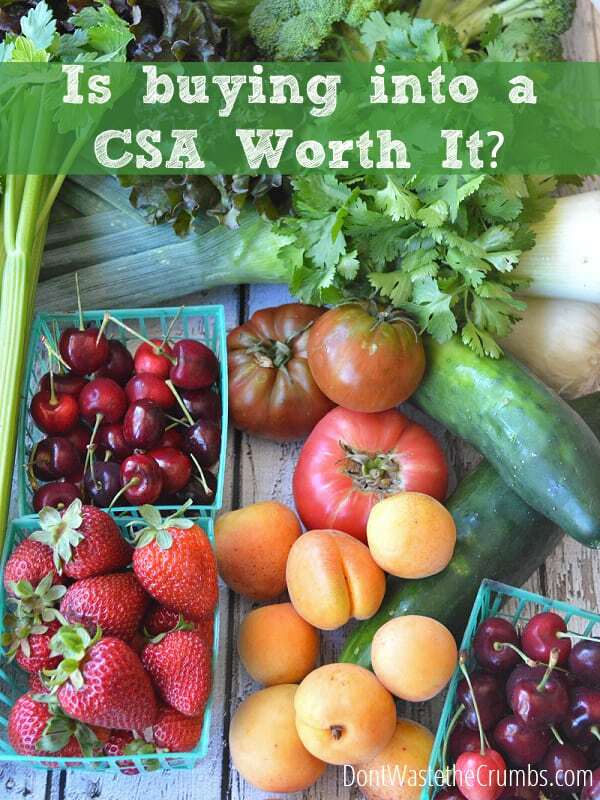 The CSA day is more like Christmas than a shopping trip because it’s a surprise – and you’ve usually arranged the payment ahead of time – making it like a gift more than a purchase. I’ll stop blabbing now . . . But, now that we live in a rural area – amidst giant row crops and very little organic offerings at our stores – I find my CSA even more of a blessing. As I tend our garden and harvest our first bed of garlic, I learn more from our farmer. She enjoys my “vegetable nerd” questions and helps coax me through my gardening concerns. It’s more than just food – it’s a relationship. I can’t replicate the food nor the relationship at a local store. Blabbing? Nonsense! I so greatly appreciate you taking the time to share you thoughts on CSA’s! It’s a big blessing to me, and I’m sure other readers, to hear from people who have ACTUALLY done it, rather than just word-of-mouth “about” them in general. You’re right about the losses, but in a way, I think it would make us appreciate food that much more… if that makes sense? As a society, we’re kinda spoiled that the store always has what we need. But when we’re more partial to the season, we become thankful during times of plenty, and efficient in times of loss. Thank you again Kristin!! Thanks for the review! My family used J&P organically in the past (also local to the central coast) because they delivered, but the price breakdown wasn’t nearly as good. Now that we are making a serious effort to eat better a CSA box might be a great addition to our kitchen! The Farm is right around the corner from my hope and I’ve never been, I think that needs to change now! Katie – The Farm is beautiful! You’ll really like it, and appreciate the work that the family puts into it. It’s our favorite spot for pumpkin picking too – all the varieties?! Oh be-still my pumpkin-loving-heart! Let me know if you need other CSA recommendations too; I’ve got a friend who’s doing a sample right now from Watsonville that delivers locally for pick-ups. This is our second year doing a CSA and I’m enjoying it so much more than the first time around. I got pregnant soon after it started last year, and salad or zucchini did NOT sound good! So unfortunately I didn’t make good use of it. This year we are eating everything and I’m trying hard to stay on top of it. We are in VA and it’s $17 per week for the mini-share, since we are a small family still. It’s organic as well, and I’m pretty sure it’s a good deal compared to the grocery store…definitely compared to the farmer’s market! The farmer’s market prices are very high here, so it allows me to get local organic produce that I otherwise would rarely get. Thanks for the post! It’s always helpful to get a breakdown. You’re most welcome Cait! Thank you for sharing your experience with the CSA. I can’t say I’ve ever heard a bad experience, but it means so much more hearing it from you guys!! 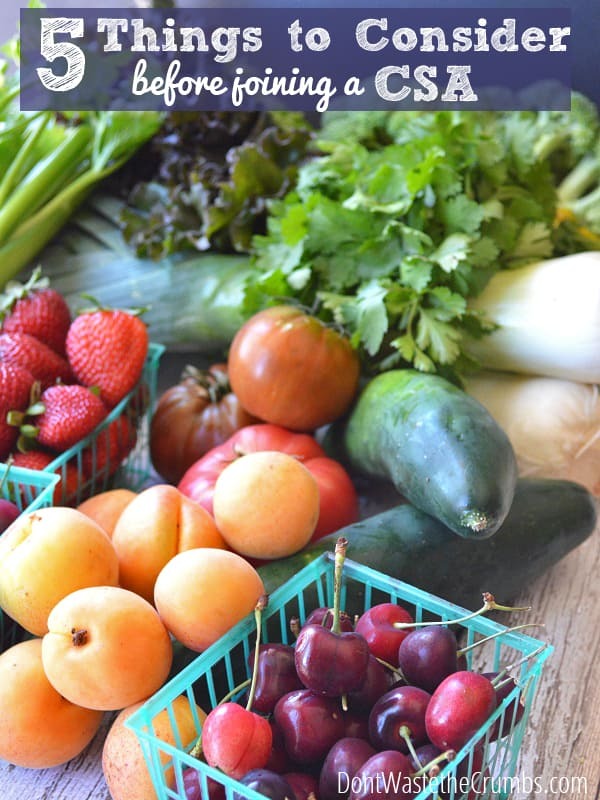 There are some CSAs around here, but there are so many opportunities to grow your own and to buy local, that I’ve not personally seen the need. Also, I would probably have a hard time eating up or preserving a lot of produce during a short period of time. I grow my own veggies, have strawberries going for the first time ever, using the square foot gardening method. 4 16 sq ft. raised beds. I have 2 apple trees, b/c you need 2 for fertilization, that I got from the National Arbor Day Foundation (a worthy non-profit). They were supposed to be dwarf trees 5-8 ft. One is a runt, the other apparently didn’t read the manual, it’s at least 15 ft tall, and lots of apples go to waste. I don’t spray, so they aren’t pretty. I have quarts and quarts of sweet/sour spiced apples. This year I’m going to try drying. I might also try some oven apple butter. Eggs I buy from a friend at work, and when I get out to another friend’s place in the country, she gives me her extras. I also bought a share of a cow, and an entire lard pig (plus my share of feed, butchering) from her. All pasture fed, with organic feed supplementation. I’ve also done some hunting. For the time involved, deer hunting is way more productive than turkey hunting. I was dating a guy who is part owner of a hunt camp in an adjacent county. He gave me permission last year to hunt there; unfortunately it was the last couple days of rifle season, so I couldn’t plan the time to hunt, then field-dress (my weakest skill, and I’m an OR RN, go figure), then hang and skin, and then butcher, w/out power equipment. Maybe this season. Loves me some venison! I can/freeze a lot of what I grow. Froze some snap beans (green and yellow) yesterday, plus ate a pile w/dinner. Also froze some kale and chard. My canning is limited to what I can do in a hot water canner. Dilly beans likely next, cucumbers haven’t started to come in yet, but there are some babies. Tomatoes are setting fruit, not ripe yet. There’s also a local co-op that sells locally grown produce, but it’s not convenient for me to shop there. I’m so excited your doing the CSA from The Farm. I wanted to so it when we lived out there, but wasnt able to. I agree that they have the best prices on organic around, although I’m slightly biased as I love the Bunn family and they Farm. I wish there was a similar farm store here in MN. 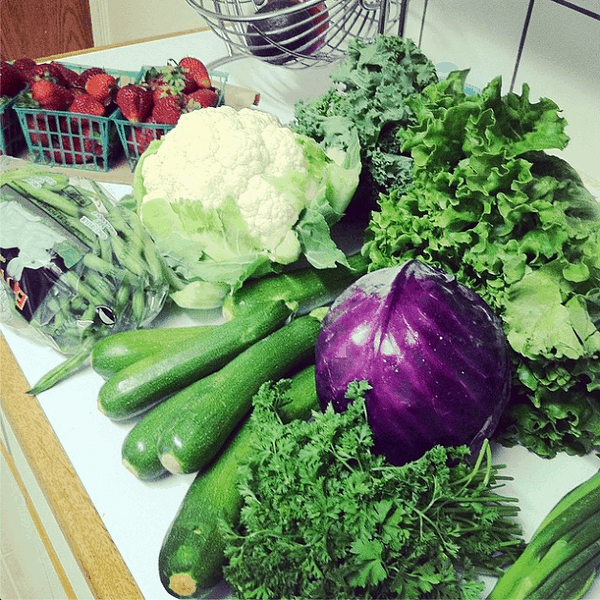 CSAs are plentiful here in the Twin Cities, but most of them are over $30 per week ao for now we stick to the farmer market when they are open. Do they still have the rabbits? Yes, they do! The kids love them… there were 3 I think as of last week. Plenty of chickens and 2 (maybe 3?) goats too. They’re SUCH a nice family!! I used to subscribe to our local CSA but found myself struggling to use everything each week. Perhaps it is just too many items for 3 adults to use up while they are at the peak of freshness. I also learned I that I am more of a meal planner than a spontaneous cook! But I do love the fresh produce at The Farm. The strawberries, corn and tomatoes seem to soak up the sunshine and are loaded with the intense flavors of summer we all crave. Some of my same pro/con thoughts, Tiffany. I finally had to decide that the CSA I belonged to just wasn’t going to work for us during this season – pickup times were right when afternoon nap ended and dinner prep needed to begin. Taking 45 minutes to drive over and get the box, then needing to wash and store the stuff properly was becoming a real headache and usually resulted in the entire evening feeling kind of frazzled (not to mention a catch-all dinner that wasn’t as healthy as usual). But I’m determined to get back to it one day. The delight of being “forced” to explore and enjoy some lesser known produce items, plus the privilege of supporting local growers is really wonderful! I love our CSA. It definitely requires a different way of planning meals and cooking, however. I agree with Kristin about having a couple of “kitchen sink” recipes that can be used with pretty much any veggie or veggie combination. The frittata serves that purpose very well! I’ve also found that almost any greens can be sauteed with sausage/beef/bacon, garlic, and red pepper flakes and then combined with pasta or rice and a little shaved Parmesan. It took me at least a year (maybe two!) to get used to planning my meals around what was in the box. On the really good weeks, I complete an inventory of what we still have and what has just come in the box and then sit down to plan the meals for the week based on the inventory and the calendar. That happens about 30% of the time. The rest of the time, I look at the inventory after the kids go to bed and figure out what I can make the next day based on what we have in the fridge/freezer. And on the really crazy days, we have quesadillas or scrambled eggs or salads with a simple vinaigrette and whatever protein I can scrounge up. For me, the first two years were difficult. During that time, I ended up throwing away (or giving away) a lot of food that I didn’t know how to prepare and then going to the grocery store for things that I “needed” for a recipe. Now all our lunches and dinners are based on what comes in the box. I’ve learned that every recipe is adaptable, and my kids actually get a kick out of the fact that even familiar dishes are hardly ever exactly the same thing twice. I go to the grocery store/Costco about once a month for grains, pasta, beans, dairy, nuts, and some additional seasonal fruit. To sum up: You need to be willing to eat different foods to have success with a CSA, but you also need to be willing to plan and cook differently. I’m so glad you tackled this, because so often it just seems to be assumed that “of course it’s worth it”! For us, at least right now, it’s not. We’d be looking at paying more for the CSA than we currently do for ALL of our produce, AND I know I’d still need to buy produce – things like bananas (that aren’t grown locally at all) or broccoli (that are a family favorite, so they’re trustworthy and which aren’t very efficient for growing). To top it all off, all of the farms around here are conventionally-grown. We joined a CSA this past Spring. After our house fire and rebuild we didn’t have time to plan our garden space so a CSA was the next best thing. We are really liking it. It is pricey and if we get garden beds in we’ll go back to our own gardening but the best thing is that it has opened us up to new veggies that we otherwise never would have tried. I don’t want to waste money I made things I’ve never eaten so that I would not waste. I found I like collard greens, swish chard and arugula. 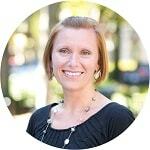 Hi, Tiffany – thanks for the post about CSA’s. We tried one a couple years back and were NOT impressed. We were expected to assemble our orders ourselves, there were no fun extras, and many of the greens were very strong tasting & we really couldn’t use them. I’m all for learning about new foods, but to have half a pound of mustard greens as a “trial” was a bit much. Some weeks, much of our greens selection was items like purslane, which grows as a week all over our yard. So we ended up paying “organically grown produce” prices for weeds I could have picked myself… and wouldn’t know what to do with. There was no website with helpful recipes, nothing printed as a handout for us. I am sure that my experience is unusual, but perhaps is a good warning to people to ask lots of questions before they join. I would have asked what veggies they would be harvesting, just to make sure I knew what to do with them. We tried this a couple of times, and I also found I kept having to buy my staples anyway and if I was too busy I’d just have the out of the ordinary stuff left over. They were good about including a newsletter with recipes though, so I did enjoy learning to cook with some different cooking styles and new veggies – acorn squash springs to mind! Thank you so much for your take on CSA’s! It is refreshing to find a real person perspective on what we do. I run a year round CSA in an Aquaponics Greenhouse. 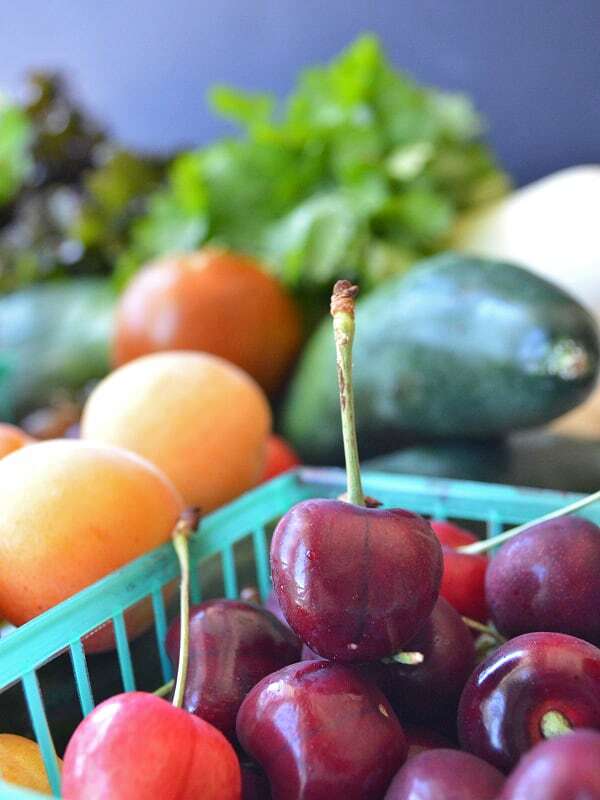 If it is ok with you I would love to share this blog with my members and possible members so that they can see what is the benefits that we all have by not only buying local, but buying fresh and healthy. Thank you once again. Absolutely Monica! Thanks for sharing! As a farmer who has ran my own CSA, I would weigh in that a CSA is very much worth it, but definitely check the farm out and get references. I had one customer who was actually reselling all the produce she bought from me to others advertising that she was running a CSA and growing all the food herself! When she mentioned casually all the places she went in a week, I knew she didn’t have time to do all the gardening she was claiming to do! Check out their growing practices as well to make sure they really are as natural and organic as they claim to be. Farming the right way is a lot of work! Make sure to thank your farmer often! Farmer’s should be paid a white collar wage! ting, i like surprises lol.